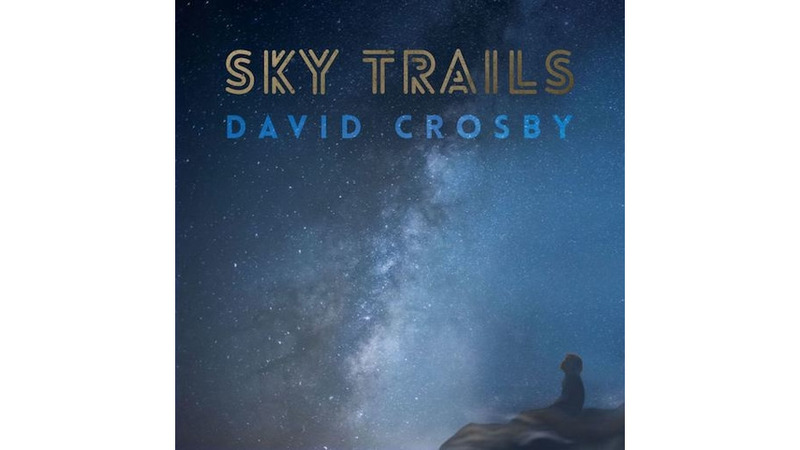 That record was succeeded by 2016’s Lighthouse, and less than a year later, Crosby is back with Sky Trails, arguably the darkest and most adventurous work in the songwriter’s recent streak. That shift in atmosphere is best exemplified by Sky Trails’ lead single, “Sell Me A Diamond”—a chilly vignette in which a jeweler’s assurance that his product is “conflict-free” sends him into an introspective tailspin. From a songwriting perspective, this is typical Crosby fare: caressing vocals, a melancholic chord progression and lyrics that manage to be both esoteric and evocative. But sonically, “Diamond” finds the artist in some unfamiliar territory: The song is grounded by a looping, electronic beat, and when the chorus kicks in, Crosby’s voice is lathered in a heavy vocoder-like effect. These decidedly modern flourishes are all the more surprising given that Crosby himself is a vociferous critic of the mainstream pop landscape. In 2015, he notoriously tweeted that rap “isn’t music,” and this past summer he appeared in a Twitter ad with Chance The Rapper, suggesting—in the form of a tweet—that the rapper perform “a song with real instruments” at his shows. That might have been good, clean, scripted fun, but it’s also consistent with Crosby’s very real reputation as the quintessential rockist grouch. At certain points, Sky Trails seems like Crosby’s attempt at making a more contemporary sounding record on his own terms. It’s an ambitious move, to be sure, but it doesn’t always work. On the seven minute-long “Capitol”, Crosby grumbles about the state of the union over a stock smooth jazz groove. With a different arrangement, “Capitol” could be a vital and provocative protest song from one of the hippie movement’s wizened progenitors—but in its recorded form, it sounds like something you might hear over the speakers at Nordstrom. Similarly, there are moments during Sky Trails’ mostly pretty closer “Home Free” where such an excessive amount of AutoTune is applied to Crosby’s vocals—seemingly for emphasis—that the whole song becomes impossible to take seriously. Crosby’s dabbling in digital artifice sometimes pays off—the processed vocals in the chorus to “Sell Me A Diamond”, for example, charge the song with an energy it might otherwise lack. But Sky Trails’ most noteworthy moments are those that recall the veteran songwriter’s best work. The title track—a sparsely arranged duet between Crosby and the song’s co-writer Becca Stevens—is a highlight from this era of Crosby’s career, as is the Fender Rhodes-heavy, Steely Dan soundalike “She’s Got To Be Somewhere”. Caught between preserving his sound and experimenting with new ones, David Crosby lacks a firm musical identity on this new album. Hopefully, he finds a way to incorporate modern elements into his songs more effectively. After all, if Crosby is as inspired as he claims to be, then Sky Trails is a taste of even more to come.